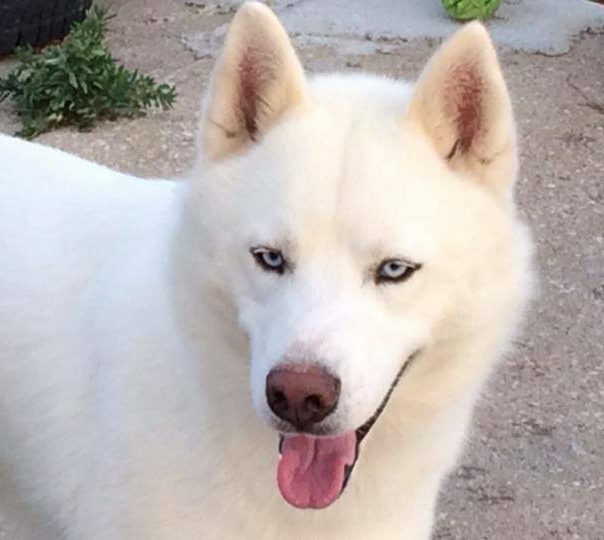 Casper is a solid white husky with a plush coat. He has black points and the perfect husky demeanor. He loves to play with the other dogs and all of the kids. He is the founding member of our pack. Midnight has a striking black/white coat that is very plush. He too has a very good husky demeanor. He loves to be pet and cuddled. He came to us from a breeder in Ohio after a very exhaustive search. He is strong and has a very good stance and a perfect testament to the breed. 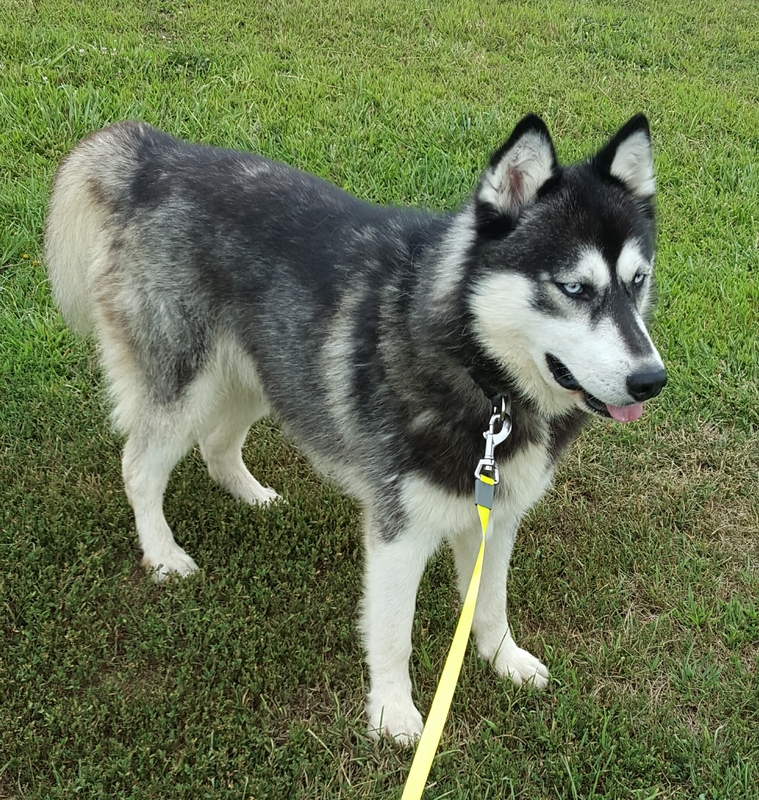 Shasta is a gray/white husky with a plush coat. She came to us from a breeder in rural Iowa. She is shy to strangers, but has the greatest instincts we could ask for. 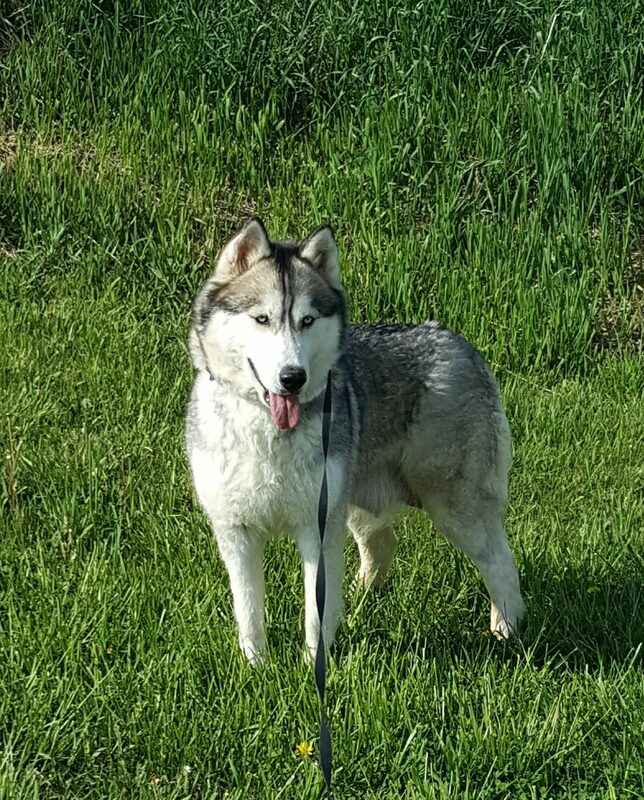 She has a stockier build than some of our huskies and her offspring share those attributes. She loves to talk and she passes that on as well. 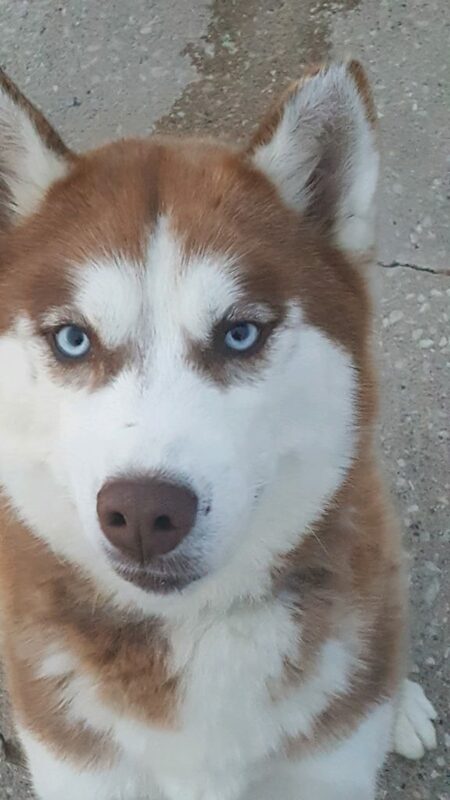 Aurora is a red/white husky with a tendency to get into trouble. She is playful and loves to have toys around. She comes to us from a breeder in Missouri. She usually provides a wealth of color and some vocals for the pack. Sabrina is a black/white husky with blue eyes. She generally has white babies with some red/whites mixed in. Her puppies are the best behaved of the bunch. Sabrina is a black/white husky with blue eyes. She is a baby that we kept back from Sadie when she retired. She has given us beautiful black huskies.